Daily Debate: What Other Indie Titles Would You Like to See Cross Over With Zelda? 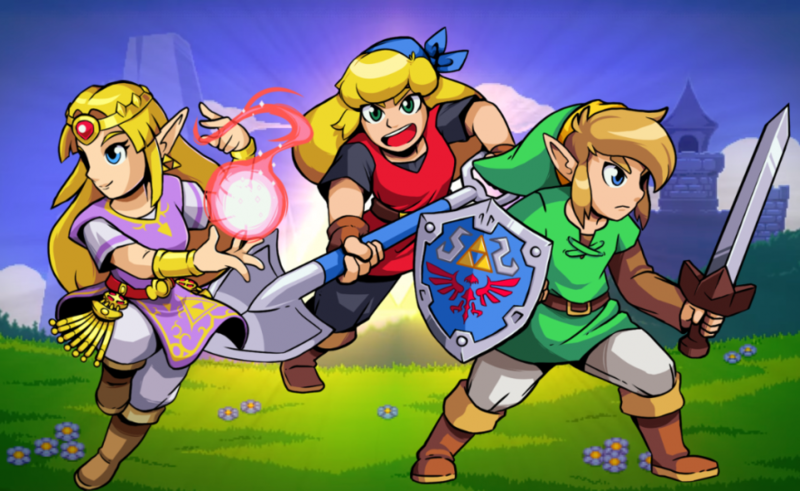 To say last month’s announcement of the Zelda-Crypt of the NecroDancer crossover, Cadence of Hyrule, took the gaming community by surprise is an understatement. For Nintendo to license one of their most well known IPs to an indie developer is a bold and significant move for the company going forward. This action by Nintendo has opened their IP to new possibilities that some may have never considered possible. As such, the question arises of which indie titles their games could mesh with going forward. With a wide variety of Nintendo properties and indie games, the possibilities are next to endless. Taking this into account, there are many games with the potential to crossover well with the Zelda franchise, and the popular Shovel Knight and War Groove definitely come to mind. The Legend of Zelda is known for having inspired a myriad of indie titles, including the beloved The Binding of Isaac, so it is even possible the series could meet with games it helped birth. Would you like to see Zelda make more indie crossovers? If so, which titles would you like to see utilized? Let us know in the comments below! This Daily Debate was inspired by our very own Senior Editor @euan707#9657.